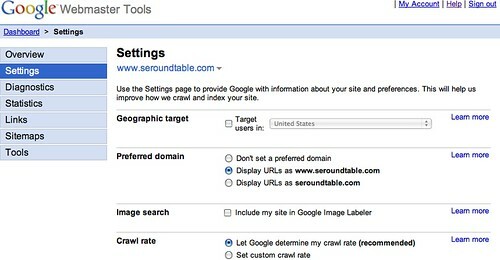 Google has made two changes to Webmaster Tools. The first is they consolidated your settings into a single page for a site and the second is they are now giving more control over your crawl rate. This is one of those settings that set back after 90-days. So keep checking it if you make a change. You usually won't have to fiddle with those settings, which is why they aren't available to all sites. We usually work out how much we can (and want to) crawl automatically. 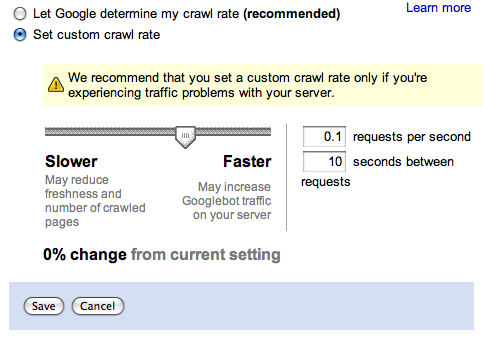 I would generally only change these settings if we're crawling your site too hard (and slowing down your server). Forum discussion at Google Webmaster Help and DigitalPoint Forums.